I think maybe Reagan was wrong. Extinction is probably a lot shorter than a generation away given today’s advances in communication where lies can be spread at light speed to reach the empty headed. Add to this the current geo-political climate, the economic instabilities of the US and the very real threats of terrorism and you have the threats of the 21st century. The founding fathers could not possibly have imagined or contemplated these threats more than two centuries ago, yet the very principles they set forth in government so long ago are the only reason I believe this country still survives and has not already succumbed to totalitarianism in one form or another. The principles of respect for the individual and his personal property, division of government and specific limitations on the Executive have stood the test of time and allowed generations to live in greater freedom than most others have ever enjoyed on the planet. 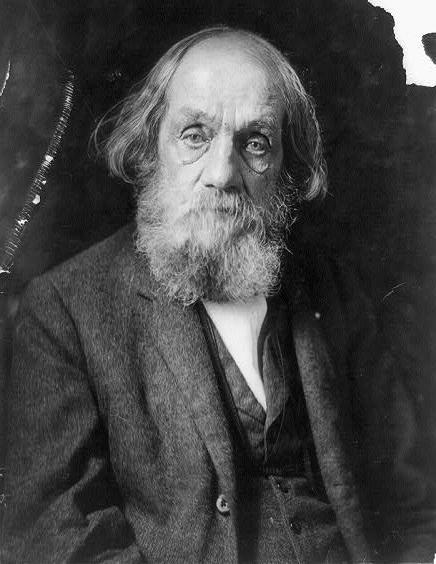 Edward Everett Hale was a 19th century American author, historian and Unitarian clergyman who wrote a story called “The Man Without a Country” first appearing in The Atlantic Monthly in 1863. In the story a lieutenant is found guilty of treason and after proclaiming he never wanted to hear another thing about the US, he is given the unusual sentence of being kept aboard US warships the remainder of his life and never to be permitted to set foot on US soil again and never permitted to learn any more news good or bad about his former country. His guards and no one else are permitted to speak about the country to him ever again. The man after many long years traveling from ship to ship and without a homeland and starved for news of it, learns to love his country but far too late. He becomes so distraught that he laments to a young man just before his death: “Remember, boy, that behind all these men … behind officers and government, and people even, there is the Country Herself, your Country, and that you belong to her as you belong to your own mother. Stand by Her, boy, as you would stand by your mother, if those devils there had got hold of her to-day !..” At the time Hale wrote this our country was deeply divided and fighting for its very survival in the Civil War. Hale was promoting the idea of patriotism and the preservation of the union. The story resonated with many Americans. Today with so many threats to our lives from outside our borders we fail all too often to see the very real threats that exist from within them. I’m not speaking of terror cells living within the US, greedy Wall Street corporate raiders, or illegal immigrants for that matter sponging off the rest of us taxpayers. I am talking about all those Americans so eager and willing to just surrender their personal responsibilities and with that their freedom, in exchange for the false promises made by politicians, of greater safety and security. The promises of Big Government never end and neither do the costs to fund them. We must refuse to allow our fellow Americans to steer us to extinction. For each new burdening regulation and perversion of the Constitution; for each new usurpation of power by the President or the courts we allow for our own good or for extra security and safety; we surrender that which made us different, exceptional, and free. Piece by piece we are creating our own demise by growing this government leviathan until some day we may be the ones looked upon as that traitor and forced to live without a country, telling our children’s children what it was like to live in a free country for they will not know of any and their history books will criticize it as dangerous. We are fighting to not be that man, our home and way of life is under siege by fools and power hungry men and women. What are you going to do about it? By JJPaladin in History, Politics/Government/Law on April 25, 2014 .